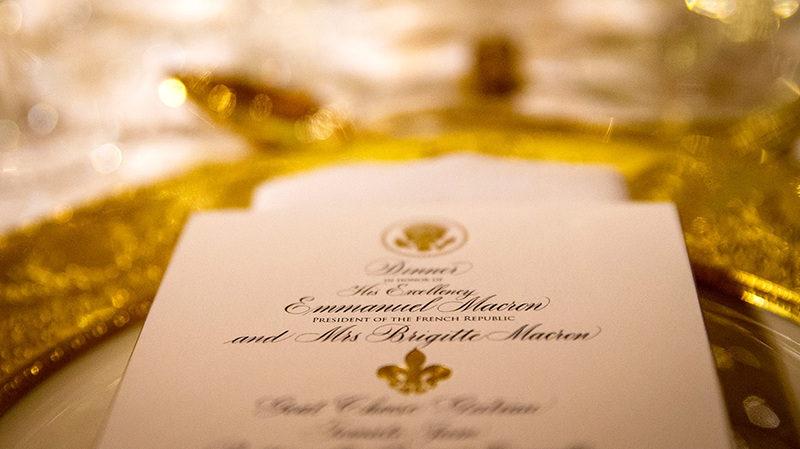 Last night’s State Dinner for France’s Emmanuel Marcon and his wife Brigitte was the first of the Trump presidency. First lady Melania Trump worked for months to get every last detail right. She pulled off a portrait of elegance. And couldn’t we use a bit of beauty and elegance these days? Please enjoy this journey through some of the night’s most splendid images. 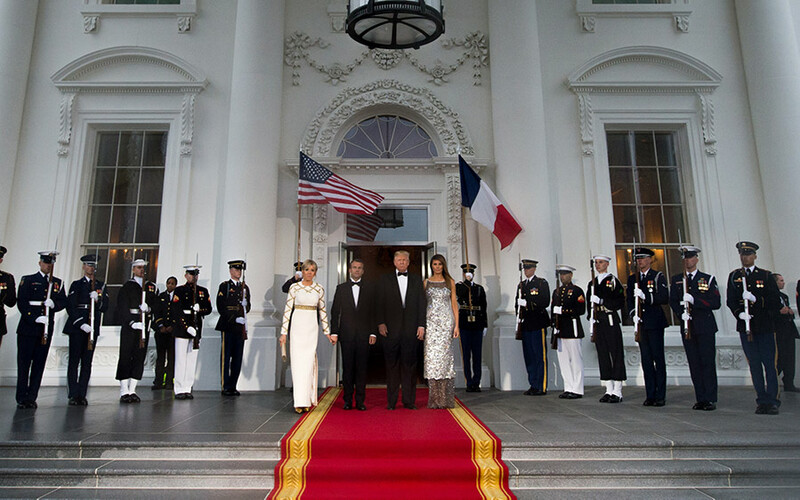 President Donald J. Trump and first lady Melania Trump walk out to the North Portico to greet French President Emmanuel Macron and his wife Brigitte Macron as the Trumps host a state dinner at the White House on Tuesday, April 24, 2018 in Washington, DC. 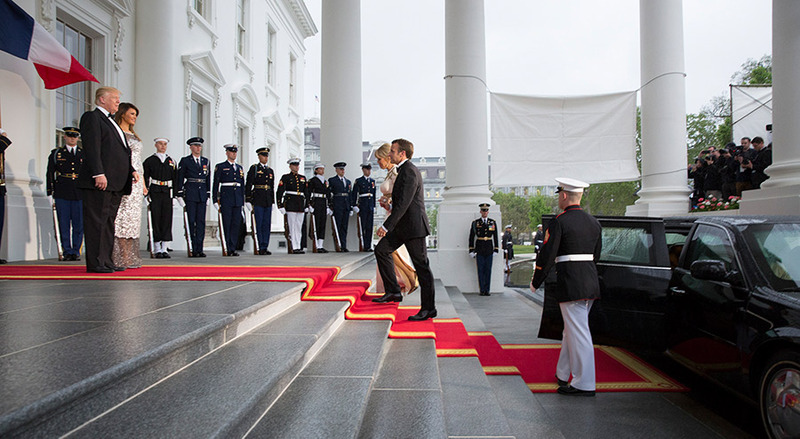 French President Emmanuel Macron and French first lady Brigitte Macron arrive at the North Portico before a State Dinner with U.S. President Donald Trump and first lady Melania Trump at the White House. 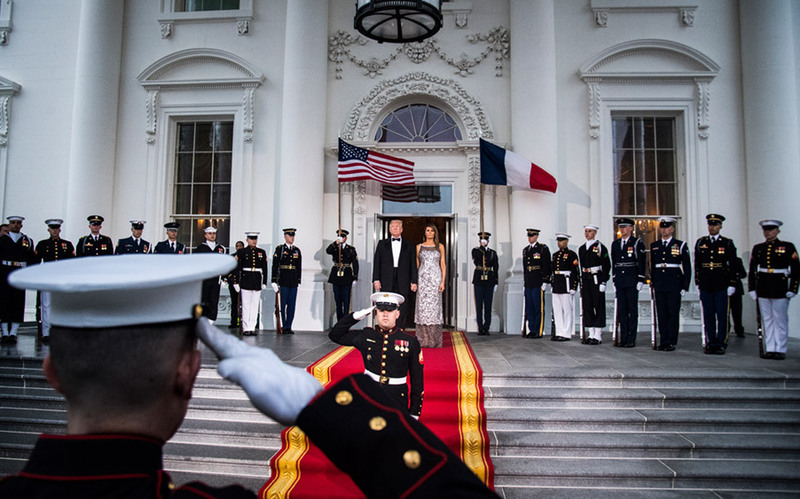 US President Donald Trump and First Lady Melania Trump welcome French President Emmanuel Macron and his wife, Brigitte Macron, as they arrive. 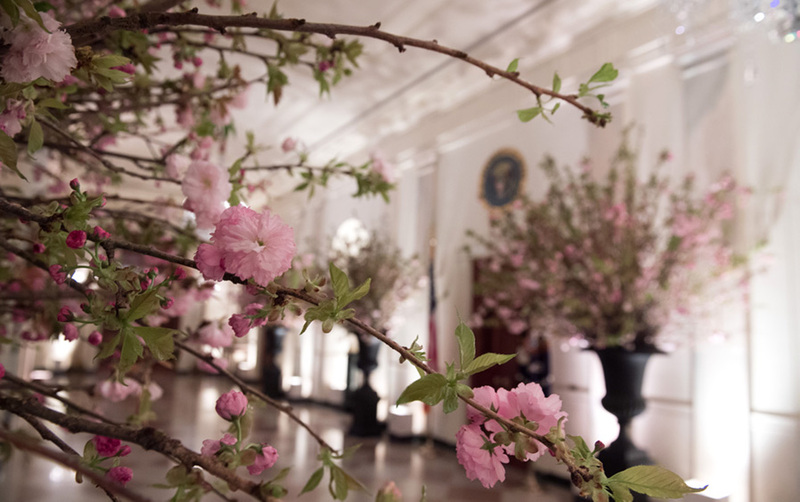 The Cross Hall decorated with Cherry Blossoms. 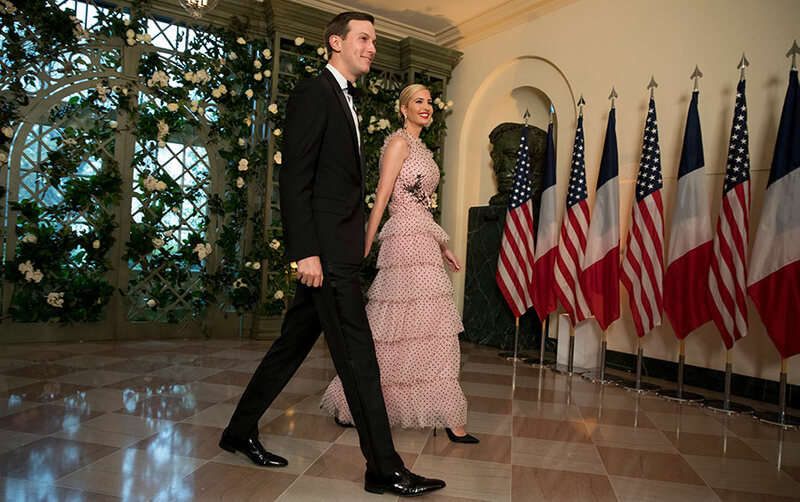 Jared Kushner and Ivanka Trump arrive at the White House. 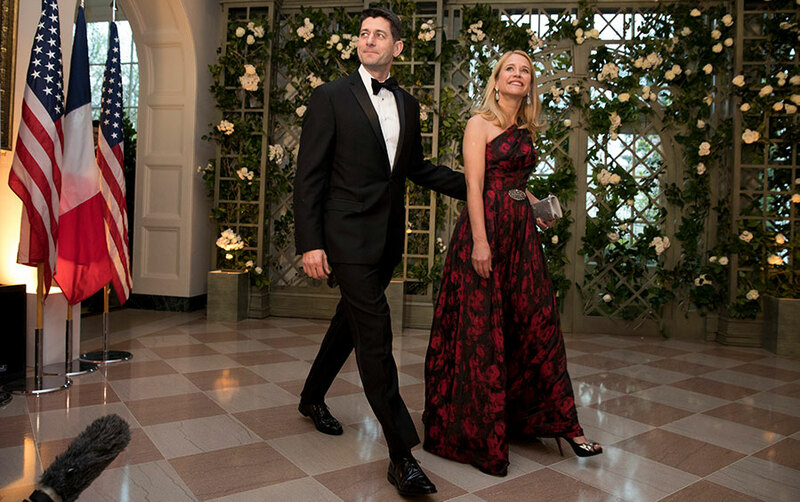 Speaker of the House Paul Ryan and his wife Janna. 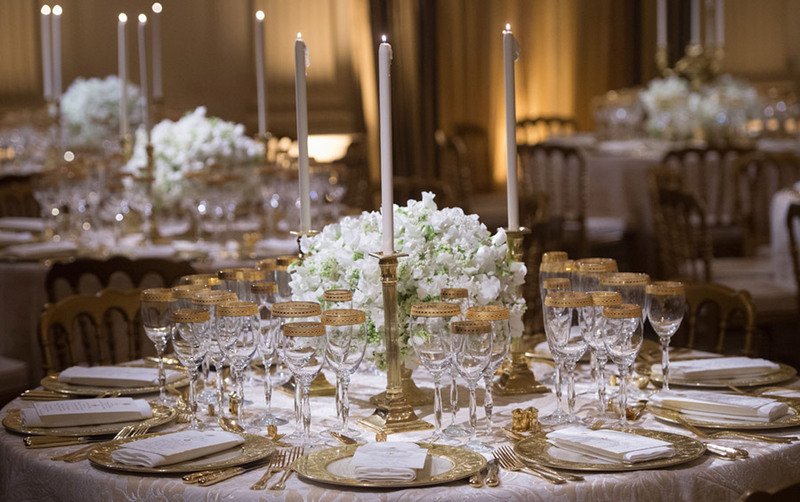 The State Dining Room table setting laid out for the State Dinner. No paper napkins here. 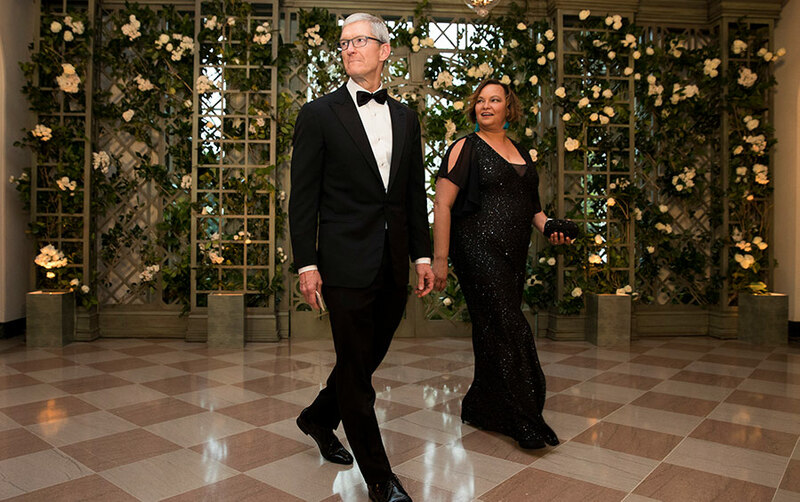 Apple CEO Tim Cook and Lisa Jackson arrive. U.S. 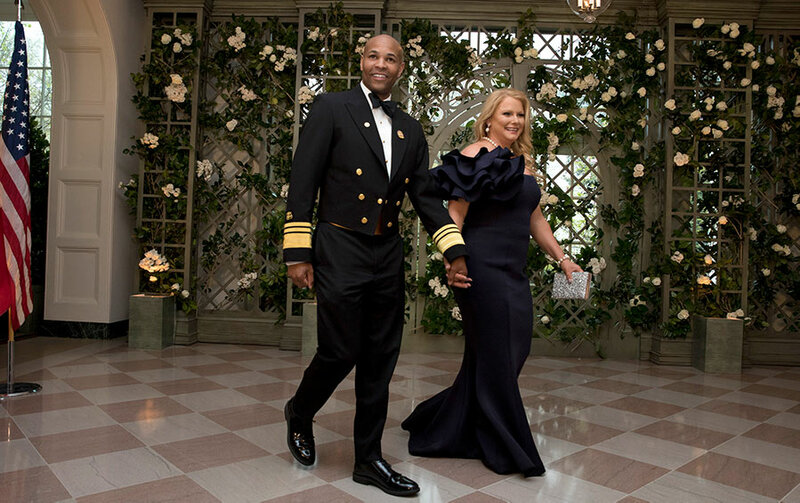 Surgeon General Jerome Adams and his wife Stacey. 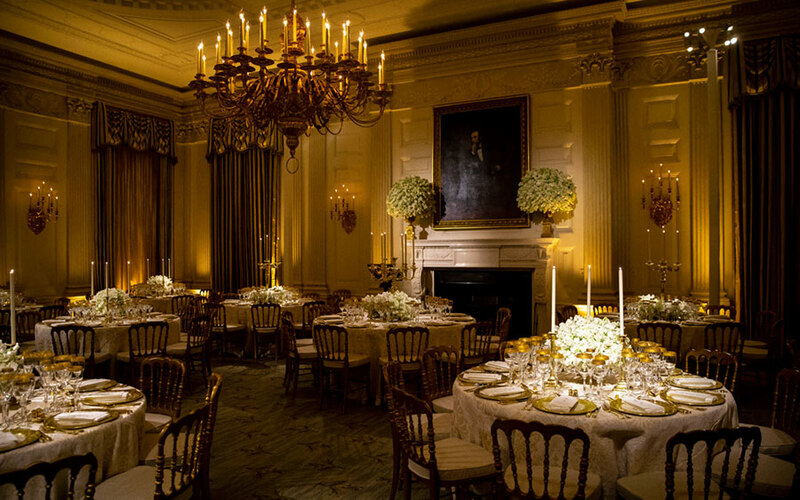 The hushed, dramatic lighting of the State Dining Room as it awaits the night’s lucky guests. 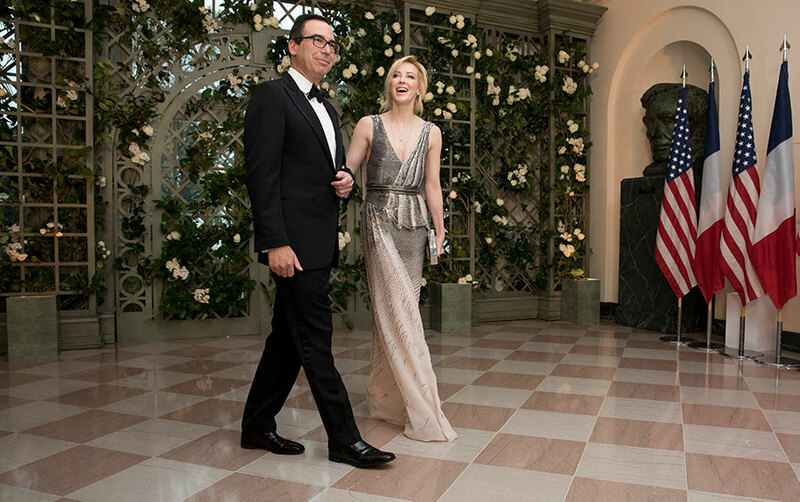 Treasury Secretary Steven Mnuchin and his wife Louise Linton arrive at the White House. Secretary of Homeland Security Kirstjen Nielsen and Chad Wolf arrive at the White House. 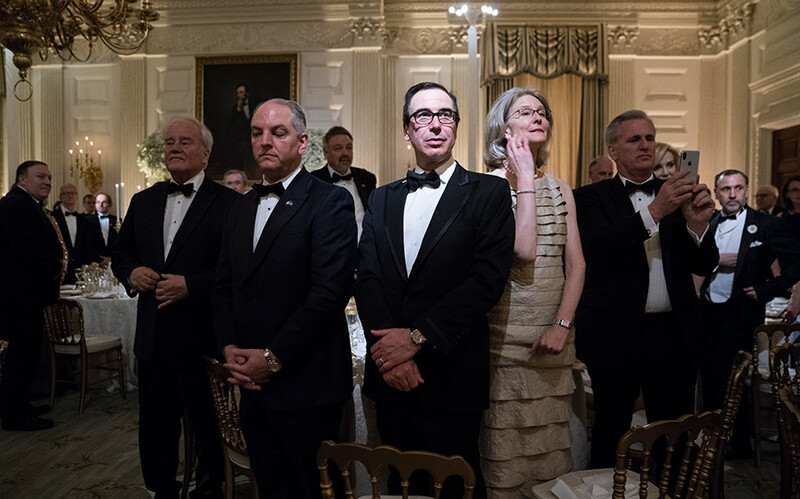 Treasury Secretary Steve Mnuchin stands with others. 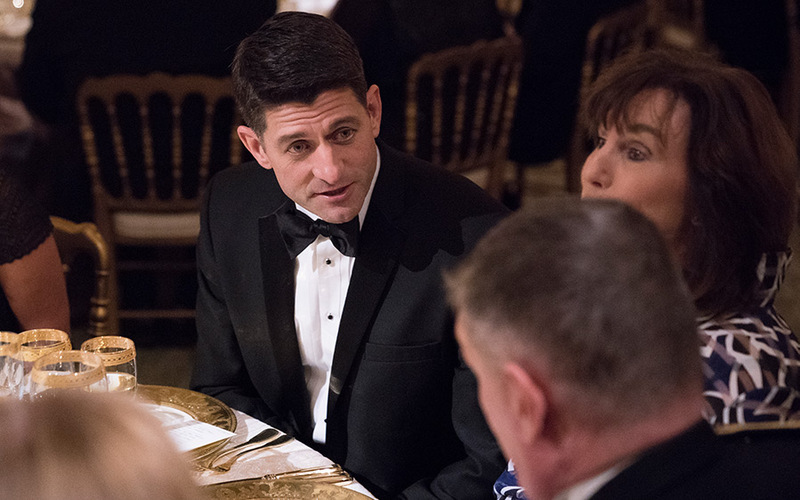 Speaker of the House Paul Ryan, R-Wis., talks with other guests. 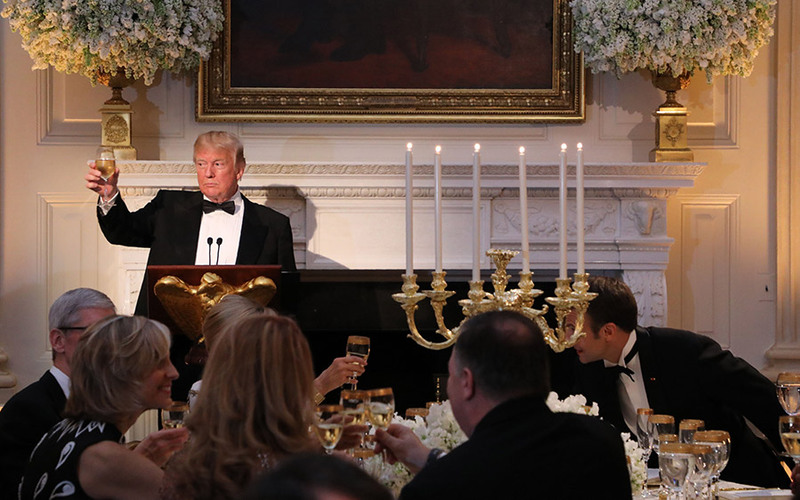 French President Emmanuel Macron offers a toast to the President and the United States. 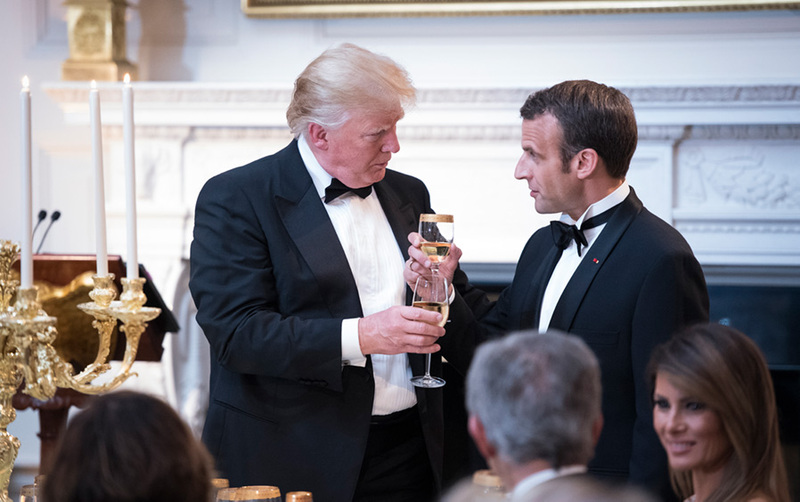 US President Donald Trump toasts French President Emmanuel Macron and our nearly 250 years of friendship. 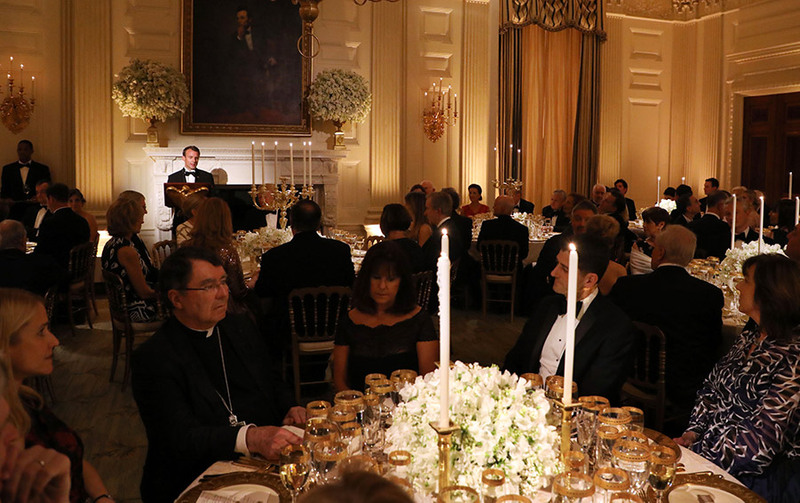 I think of all the state dinners I’ve helped pay for and never once had an invite lol. We all can throw a grand party when using other peoples money. Now that you have had your scrumptious dinner, please do your job, serve the people. This is good you naysayers. The president represents us. We should do likewise and do our utmost for who we represent, namely Christ.